Houston-based Ascend Performance Materials has announced a price increase on nylon 6,6 polymers, compounds and fibers effective February 1. The company cited rising raw material costs as the reason for the increase. The Association of the Nonwoven Fabrics Industry (INDA), Cary, N.C., has added a new Absorbent Hygiene Products Training Course to the educational options offered through its Professional Development Center. Dates for the course and full details can be found at inda.org/education. INDA also recently launched a “Career Corner” on its website where employers can view resumes of students interested in entry level career opportunities, internships and co-op programs in the nonwovens industry. In addition, INDA has issued a call for presentations for its Hygienix™ Conference 2018. The deadline for abstracts is April 2. Renton, Wash.-based AIM Aerospace has achieved AS9100 Rev. D Quality Management Systems Certification for three plants in Washington State — Renton, Sumner and Auburn. The certification — developed specially for the aircraft, space and defense industries — certifies in part that the company has robust and sustainable processes in place to consistently deliver products on time, while mitigating risk. Ellerbe, N.C., FilSpec USA recently joined the Advanced Functional Fabrics of America (AFFOA) innovation institute as a Fabric Innovation Network member. Black Mountain, N.C.-based Parameter Generation & Control — a manufacturer of humidity and temperature conditioning systems — is celebrating its 40th anniversary. Pindler, Moorpark, Calif., has introduced three new collections of decorative fabrics — the Andean Collection, the Indoor/Outdoor Sunbelievable™ Collection and the Fusion Collection. Each line is available at Pindler’s 16 showrooms across the country. Cotton Incorporated, Cary, N.C., recently replaced its COTTON University™ educational resource for all things cotton with CottonWorks™, a new website designed to bring even more information and assistance to textile professionals in a more streamlined and easy-to-navigate manner. The site, located at cottonworks.com, offers online courses, webinars and videos, resources for problem solving, market and trend analysis, and real life education and support. Greensboro, N.C.-based Cone Denim’s Cone Denim Parras and Cone Denim Yecapixtla operations, both located in Mexico, have received OEKO-TEX® Standard 100 certification for selected denim products. With certification awarded to China-based Cone Denim Jiaxing in 2015, the company reports it now has the capability to offer Oeko-Tex certified fabrics on a global basis. Luxembourg-based Orion Engineered Carbons raised prices on all specialty carbon blacks January 1. The company reports the increases vary depending on the grade, sales region and end market application. SEAMS, the National Association and Voice for the U.S. Sewn Products Industry, has launched a new visual brand identity and redesigned website located at seams.org. 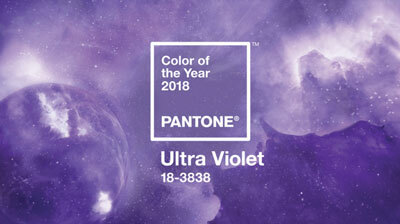 Pantone, a wholly owned subsidiary of X-Rite Inc., announced the Pantone Color of the Year for 2018 is Pantone 18-3838 Ultra Violet. This year marks the 20th anniversary of the introduction of UV STANDARD 801 — a test for calculating the ultraviolet protection factor of a textile material. The standard was developed and created by the Germany-based Hohenstein Group, Switzerland-based Testex AG and Austria-based Institut für Ökologie, Technik und Innovation GmbH (OETI). Brussels-based EDANA, the international association serving the nonwovens and related industries, has issued a call for papers for FILTREX™ Asia 2018. More information about submission requirements can be found at the event’s website accessed through edana.org’s conferences and symposia section. The deadline for entries is March 30. The Cotton Egypt Association recently unveiled a new “Be Human” brand identity and digital platform to promote Egyptian Cotton™.